← What Place For Naval History at the Military Table? St Symphorien: Influencing Popular Attitudes to The First World War? In the small Commonwealth War Graves Commission cemetery of St Symphorien, which is just outside of Mons in Belgium, three headstones represent much of how we have come to view the Great War in the modern era. Wandering amongst the lines of well-kept, and well maintained graves I came across Britain’s first military casualty, Private John Parr. 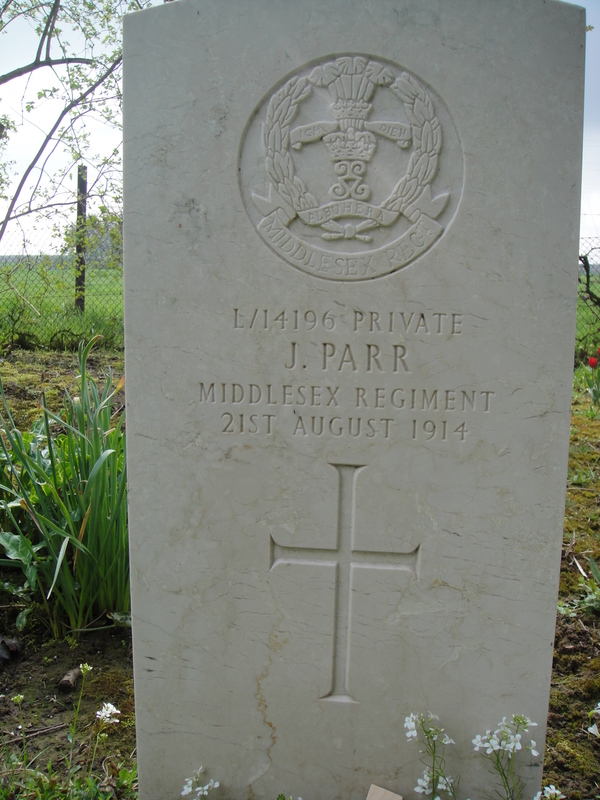 Parr served with the Middlesex Regiment and was killed on 21 August 1914. He is believed to be the first British casualty of the war. The grave nearly directly opposite his in St Symphorien belongs to of Private George Edwin Ellison, of the 5th Lancers. However, what is truly remarkable is that Ellison was killed on 11/11/1918, the day of the Armistice, and he was one of, if not the, final British casualty of the war. 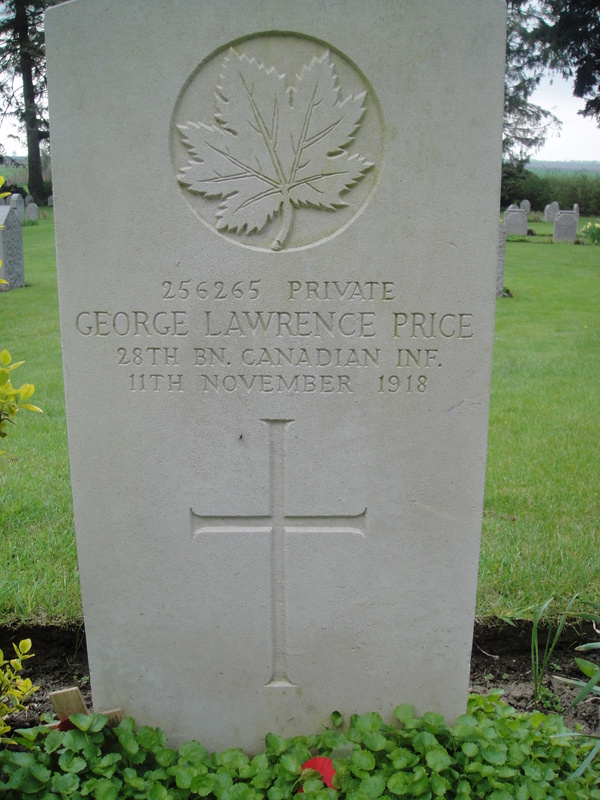 Private George Price, from the 28th North West Battalion, 6th Canadian Infantry Brigade, 2nd Canadian Division, is also buried here, believed to be the last Commonwealth soldier killed in action after he died at 10.58am on 11/11/1918. That they all lie so close to each other, representing the beginning and the end, despite the millions killed and wounded in between, represents for many the futility and waste of the First World War. Having lost Mons in August 1914, the British had only advanced so far, and driven the Germans so far back from their gains made, that at the war’s conclusion they were effectively back where they had started. However, the cemetery was originally a German one. The Germans had buried buried those who had been killed in the 1914 battle for Mons, including Parr, in churchyards and local cemeteries, but in 1916 decided to concentrate them at St Symphorien. This is partly why it contains the grave of Maurice Dease, the first VC winner, and Oskar Niemeyer, the first winner of the Iron Cross. The cemetery was inaugurated in 1917. By 1918, the war had again returned to Mons. 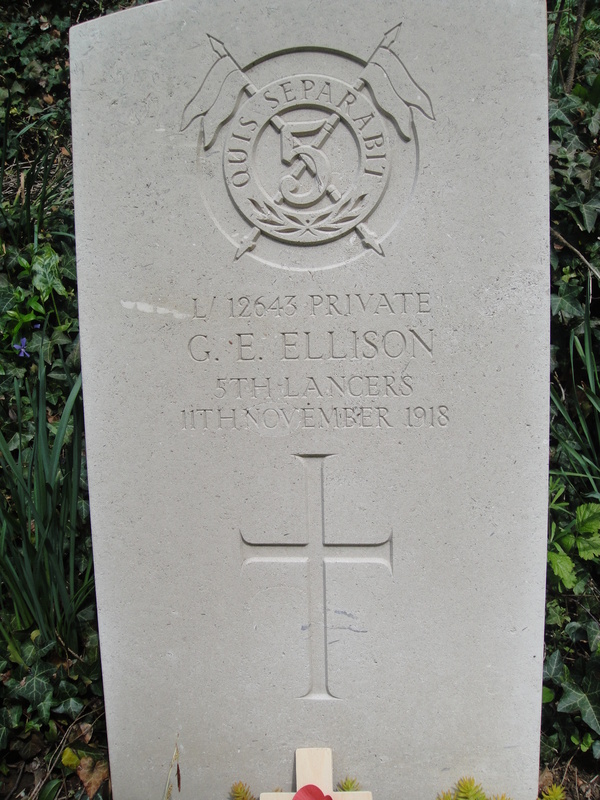 on 11 November, Ellison was killed on the outskirts of Mons, and so was buried in the pre-existing military cemetery. Price, however, had originally been buried in Havre Old Communal Cemetery, to the northeast of Mons, but was re-interred at St Symphorien after the war. The close proximity with which they all lie no doubt influences the perceptions of the First World War. Slightly provocative thread, but thought provoking. Incidentally, many men died after the Armistice as a result of wounds or illness. Do we really think these men are buried in the same place by design? I don’t think I’m quite sure what you mean, exactly. I do think that there are certainly some elements of design to the CWGC cemeteries, and they are extremely political – as Lutyens found when proposing the Cross of Sacrifice and other elements. You are of course quite right that many more men died after the Armistice as a result of wounds or illness and that aren’t commemorated in such a way. Those two listed above are, I suppose, two of the last to die on the battlefield itself. My main point was that St Symphorien represents the most popular perception of the war – that it was a futile waste. This can be seen in the protests and comments on the idea of what form commemoration of the war should take that reaches right to the top of Government. On the surface, having the first and last buried opposite each other would confirm that, but it misses a whole more complicated historiographical aspect of the war that needs to be engaged with if it’s going to be fully understood and incorporated into the centenary plans. I’ve just bookmarked this page, terrific blog!